Saturday we will be flying high, with the acrobatic part of the practice. 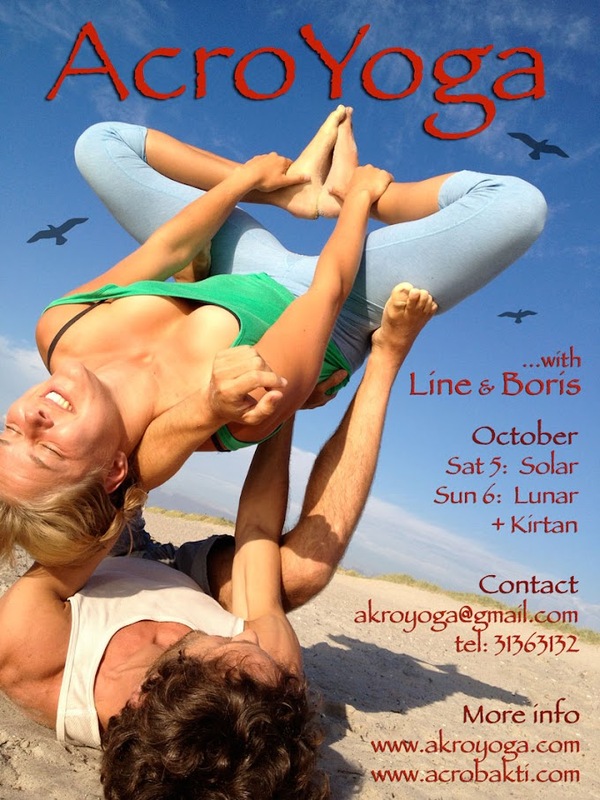 The ws is for all levels, and we make sure that everybody will get a new experience of their acroyoga practice. Sunday we will explore the partner based therapeutic flying. There will be elements of thai massage, and we will have focus on being present with your partner and having soft feet. This part of the training is more introvert and we will be emphasizing the connecting between bodies, between people. We finish of with Kirtan singing sunday evening. Kirtan is sharing simple songs in a meditative and joyful space. Remember to write your name and which days you are participating.